Newly manufactured by Brown Bear, this product is excellent for target practice and shooting exercises. It is one of the most economical loads you will find for honing your shooting skills. This product is steel-cased, berdan-primed, non-corrosive, and non-reloadable. It is both economical and precision manufactured at the Barnaul Machine Plant. The company is currently one of the largest suppliers of cartridges in Russia. It also delivers cartridges regularly to America, Europe, and Asia. This ammo is steel ammo that has a lacquer coating. As you can see in the pictures it is a brown/greenish hue on the casings. It is definitely slippery and helps with feeding however there is one issue which I will point out. Overall quality is on par with steel low cost ammo. This ammo as far as performance is on par with it's Russian counter parts from Tula and Wolf. Accuracy is acceptable for low cost range training ammo. Value is good too though not as cheap as Tula and around the same or near Wolf. Now the one problem, the coating on this ammo when fired eventually starts to give off a odd smell. I don't know if the coating is necessarily "burning" but, it is definitely an unpleasant odor and I suspect is not good for you. I would say this is a decent low cost ammo and of better quality then Winchester Forged but, I personally will stay with Tula and Wolf because their coatings down give off that scent when shot. Bought 500 RDS. about 4 weeks back. Went to a SI shooting class & shot 300 of it. Great ammo, only had around 4-6 duds out that bunch. Will buy again for sure. thanks for the hardware as always everything was perfect . My Glock didn't like this ammo. It jammed every third shoot and it didn't matter when I changed magazines. Works flawless in my Taurus pt99 but again my 99 will digest anything. Only stuff that ever jammed my glock. Every mag had issues. A couple round wouldn't even go through. Rubbish ammo. I have shot about 3,000 rounds of the 9mm brown bear in my glocks in the last year. No problems at all. Not one. I think it smells a little more than other ammo, and maybe it's just a little dirtier. But it's well worth it for the much lower price. I have had many problems with silver bear though, and won't buy that again. For targets it's ok but to many misfires, if your not experienced this could be dangerous! CHEAP AMMO. I have never had any issues whatsoever in using this ammo with my Beretta PX4 Storm. My Beretta does seem a little dirtier after using this ammo compared to other ammo. 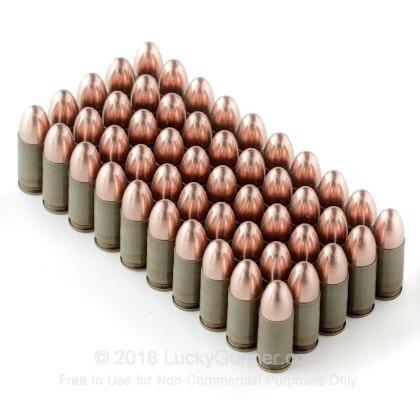 Overall, great ammo at a great price! Used The Ammo To Get My CHL Not To Bad But Like Others Stated Expect To Clean Your Gun Afterwards. This was my first ammo purchase on line and I'm glad I chose Lucky Gunner. I haven't shot my ammo yet but it was at my door in three days. I like the fact that if it is not in stock you don't have to see it on the web sight. I am looking forward to my next purchase and have told friends and family about Lucky Gunner. The ammo worked to all of my expectations. I am very pleased with this ammo. I was using a Glock M-19, I scored 295 out of a 300. Than you. My wife and I both carry, I a kahr 9mm and my wife a ruger 9mm, we have used one box of the brown bear and had no problems. seems to be so very good. Won't buy again. Warning!Steel Casings no good in my Ruger P95dc. Purchased this ammo based on the price, even though the price was still considerably high for my liking, but hey that's the way of the current gun/ammo culture. For performance I gave it a 5. I did not experience and issues with it at all. The performance, well....let's say it'll get the job done at the end of the day!! Price wise it was better than most 9mm, but still higher than what I was use to paying before. Nothing special, good price. I used it for range ammo. I used an XD 9mm no problems. I am using a new Springfield XD-9 and going on 700 rounds of Brown Bear and not one single missfeed or misfire. The gun and ammo work really well together. Recently I bought my first pistol, Glock 34. It is a 9 mm pistol with extended barrel. 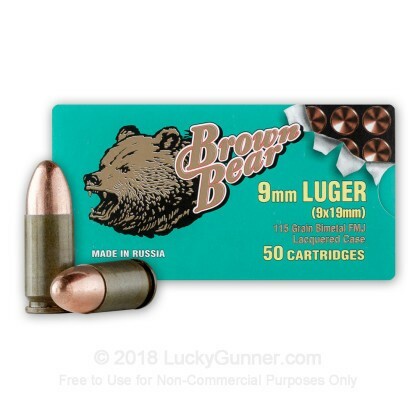 I purchased 500 rounds of Brown Bears from Luckygunner. after several shooting out. I found they are very good for the price and I haven't find any thing wrong yet. As a beginner my shooting accuracy is about 8.0 at 50 feet. Maybe I should attribute it to the Glock 34 but at least the Brown Bears 9mm did not spoil the accuracy. Beside, I haven't got any problems for jams. Again, it might be mainly due to the quality of Glock. after shooting the pistol was not dirty as someone claimed. Overall I would rate this a very valuable ammo. at least for practice. SHipped very fast worked great! I recently had the same problem as Arty. When getting ready to use these rounds at a local in-door range, the range master approached me and said they were unacceptable for use because they have a steel core in the tip and they richochette. He then produced a magnet and the round stuck to the bullet. He also said the steel core would wear the barrel faster which makes sense. Otherwise I had no problem with the ammo when I did get to use it at an outdoor range. When getting ready to use these rounds at a local in-door range, I was approached by the range master and told they were unacceptable for use because they have a steel core in the tip and they richochette. He then produced a magnet and the round stuck to it. No misfire ,no jam, nothing at all. Will always buy my ammo here. 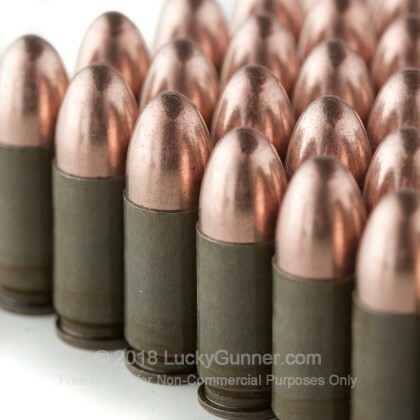 Good ammo, at a good price. Q: Will the projectile attract to a magnet? My range will not allow any steel on or in the projectile in their range. Tul-Ammo and Wolf both have a ferrous metal jacket even though they are colored copper. A: Hello Chuck, These 115gr. FMJ rounds by Brown Bear in 9mm do have a steel case and they do sometimes use a bi-metal jacket on the projectile. I would suggest a brass cased round for shooting at a range that does not allow steel cased rounds. Q: I have a Springfield XDM-9mm. Looking for Range Safe Ammo. What do you have for a outdoor Range? This is a new gun. I was told to use new ammo for the first 200 rounds or so. What do you recammend ? 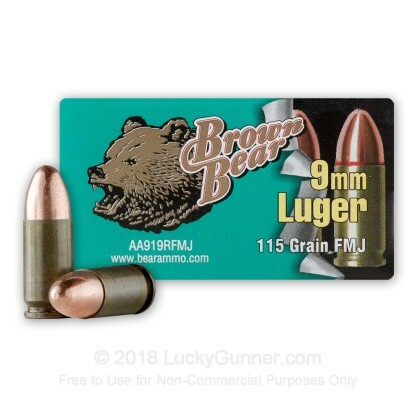 A: This Brown Bear 9mm ammo should work well for your outdoor range needs. While the cartridge is steel cased and not reloadable, the cost savings should be worthwhile if you are not planning to pick up the cases from outdoors. 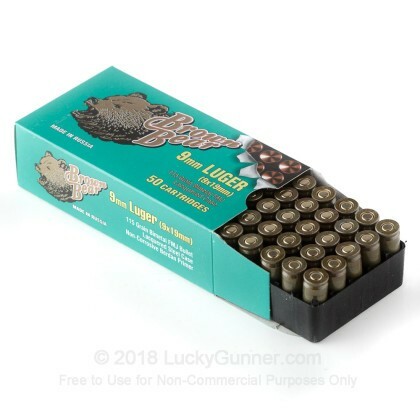 We have found this Brown Bear brand of ammunition to function well in the XD series of Springfield pistols, as well as Glock, Sig, and other modern firearms. The components used in this ammo are all non corrosive. 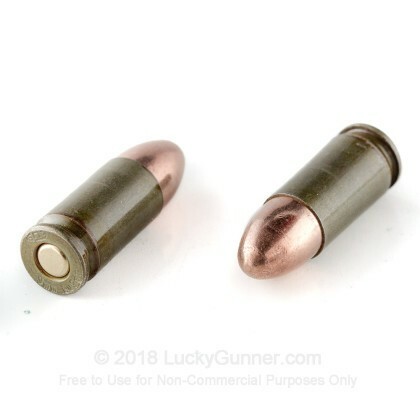 Since your pistol is new, I would consider a brass cased round to fire alongside this ammo just in case. The parts in your pistol will be built to tight specifications for the best performance and reliability. You may find steel ammo a little difficult to cycle during its first few hundred rounds. It may be possible that you won't run into this issue at all! However, I would consider either PMC, Magtech, Speer (lawman), Remington or Sellier & Bellot to have on hand as well during the "break in" period. We also have this 9mm - 115 gr FMJ - Brown Bear - 500 Rounds ammo in stock in a bigger quantity.